Fifth graders started our lesson this week with a Visible Thinking Routine called Every Picture Tells a Story. As part of a Keynote presentation, the first slide shows the devastated scene of a bombed out building. Students did not know in advance that this was the Central Library of Basra, Iraq. First, they noticed all the details in the slide. Then using their observations, they hypothesized about what kind of building it had been and what had happened to it. After our discussion, I continued the Keynote with pictures and maps that served as an introduction to the reading of Jeanette Winter’s thought-provoking book, The Librarian of Basra. 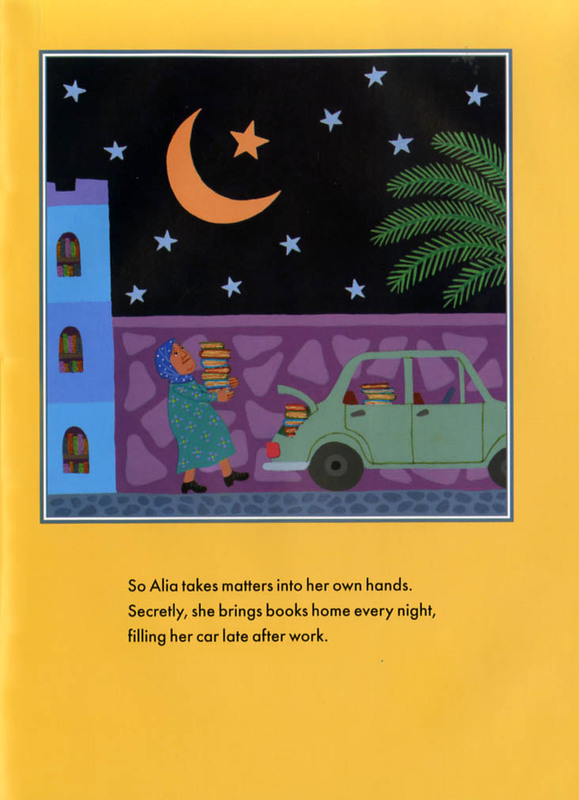 This wonderful book details the true story of Alia Muhammed Baker, the librarian of Basra, who with the help of her neighbors, successfully saved 70% of the books in her city’s library before it was bombed in 2003. After listening to the story, students uses the thinking routine, Headline, in which they summarize the story into one line. Their headline was One Person Has the Power to Make a Change. Kindergarten–It’s a house. No, it’s a table. No, it’s a bed. No, it’s lunch. And so it goes in Leonid Gore’s charming book, The Wonderful Book. This was a great way to introduce the concept of point of view to kindergarteners. First Grade–The room gets very quiet when I’m reading Hunter’s Best Friend At School by Laura Eliot. This is one of those picture books with a great message but it’s delivered with subtle humor. Hunter has a very best friend, Stripe, who can be mischievous and he has to decide whether to go along with him when he misbehaves or not. This is something to which first graders can really relate. We used prediction thinking routines to figure out Hunter’s decision and all agreed everything turned out great in the end. Second Grade–Michael Garland’s eye-popping Miss Smith’s Incredible Storybook is one of my favorite read-alouds. We first had fun doing the thinking routine called Same, Same, Different and compared Miss Smith to their own second grade teachers. Then during the story, we predicted what might happen next and enjoyed identifying all the familiar story characters. This book is the perfect size for a read aloud and the illustrations are a huge hit! Third Grade–Third graders learned how to choose an appropriate book by listening to Goldisocks and the Three Libearians by Jackie Mims Hopkins. This charming book tickles their funny bones while teaching them the “5-finger rule.” After hearing the story, third graders learned how to use our catalog and had a good time searching for books. Fourth Grade–Fourth graders watched a Keynote presentation called Mr. Dewey and the Alien, a humorous way to introduce the Dewey Decimal System.